Join Paige Walters and Fares Ksebati on this episode of the #AskASwimPro Show! On this episode of the #AskASwimPro show, we’re talking about how to make a swimming comeback! What is a Swimming Comeback? You’re burned out, tired, sick of it. We get it. Swimming every day as an age-grouper can get tiring. If you swam through a club team or even college, you know you’ve put in the work, and it was time to take a break. But what do you do after you’ve had enough of a ‘break’ and ready to get back in the water?? A Swimming Comeback can refer to a number of different scenarios, but most likely some period of time that you stepped away from the sport to pursue something else. This could have been a period of time after swimming in college you took off because you needed a mental break. It’s common for swimmers to return to the pool after they’ve gotten married, started a family, or changed careers. Some swimmers make a comeback after they’ve decided to take up swimming from an injury sustained in another sport. Regardless of your reason for coming back, we’re happy for you and would like to welcome you to the swimming family with wide open arms. This #AskASwimPro show overviews a few steps you can take to be the most successful in your swimming comeback. Set a SMART Goal: It’s easy to get excited when you’re starting (or re-starting) something new. Ideally you have a long-term fitness mindset and your goals and steps to execute should reflect that. Often I see swimmers set too ambitious goals for themselves and fall short before they even have a chance to get into a routine. It’s important to set SMART goals that are measurable, and time bound. You can read more about how to do this here. Get Accountability Partner: This can make all the difference in succeeding in your comeback (and goals in life). Having a support network for when times are tough is a huge asset in reaching your goals. Find a swim buddy and/or join our digital swimming community. Track Your Progress: What gets measured, gets improved. If you’re on top of your metrics and keeping track towards your goals it will make it that much easier to achieve them. 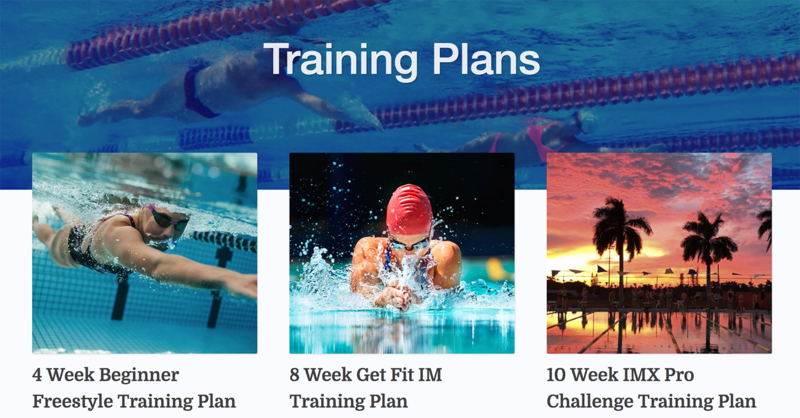 Use the MySwimPro app for training plans and tracking your workouts to keep yourself accountable. We’d love to chat with you about your swimming comeback. Email us anytime at fares@myswimpro.com.